A high-seas voyage takes a dangerous turn when Link's ship is destroyed by a furious storm, and he washes ashore on the mysterious island of Koholint. Link learns that the only hope he has of returning home depends on awakening the mythical Wind Fish, who slumbers within a giant egg atop the island's highest peak. But who is the Wind Fish? How do you wake it? And what will happen when it awakes? Lead Link on an incredible adventure as you explore uncharted lands, meet amazing new friends and foes, and unravel the mystery of the Wind Fish. A high-seas voyage takes a dangerous turn when Link's ship is destroyed by a furious storm, and he washes ashore on the mysterious island of Koholint. Link learns that the only hope he has of returning home depends on awakening the mythical Wind Fish, who slumbers within a giant egg atop the island's highest peak. But who is the Wind Fish? How do you wake it? And what will happen when it awakes? Lead Link on an incredible adventure as you explore uncharted lands, meet amazing new friends and foes, and unravel the mystery of the Wind Fish. Cheerful Ghost Radio Episode 51: Will Link’s Awakening Be The Apex of Legendary Remakes? We took some recent gaming news, put it in a pot, and let it simmer for a while. Come hear our early thoughts about Apex Legends and our favorite news from the most recent Nintendo Direct, Tetris 99, Super Mario Maker 2, and The Legend of Zelda: Link's Awakening remake! We took some recent gaming news, put it in a pot, and let it simmer for a while. Come hear our early thoughts about Apex Legends and our favorite news from the most recent Nintendo Direct, Tetris 99, Super Mario Maker 2, and The Legend of Zelda: Link's Awakening remake! I've been wanting a Mario Maker port on the Switch for a while now, but a sequel may be even better! Coming this June, Mario Maker 2 brings more features and more things to do, with each iteration of Mario as expected. But the big surprise for me was. the Link's Awakening remake! The 1993 Gameboy masterpiece was my favorite Zelda game for quite some time, so I'm glad to see it reimagined. The art style is very charmingly cartoony, like everything's made out of plastic. We don't know much about any potential gameplay changes, and we know nothing about a release date yet, except it'll be in 2019. The little teaser at the end will have to hold you over. In addition to... Read All I've been wanting a Mario Maker port on the Switch for a while now, but a sequel may be even better! Coming this June, Mario Maker 2 brings more features and more things to do, with each iteration of Mario as expected. Tetris 99... a Tetris ... battle royale game? Astral Chain, a new game from Platinum Games (makers of Bayonetta) that looks incredible! I used to say Rage 2 was most most anticipated game this year but with Mario Maker 2 and Links Awakwning remake I think it’s all three! One takeaway here is that 1) Nintendo is going to continue with the 2D Zelda games, which I’m very happy to see. Push forward with the 3D Breath of the Wild games and continue on with the 2D over world stuff like Link Between Worlds and now the Awakening Remake. Also wondering how much the remake will be? The original game wasn’t big due to the Gameboy and frankly that made it better. It’s a very tight and well focused game. 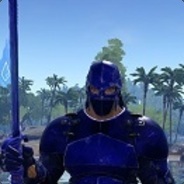 Will this game be larger in scope? If not what will it cost? I guess the cost doesn’t matter too much as I’ll buy it day one anyway, but I am curious. > Nintendo is going to continue with the 2D Zelda games, which I’m very happy to see. Push forward with the 3D Breath of the Wild games and continue on with the 2D over world stuff like Link Between Worlds and now the Awakening Remake. Kinda like the 3D and 2D Mario games. And Metroid as well. This is great news for the old school fans who might want new stuff like that with a fresh coat of paint. > Also wondering how much the remake will be? I wouldn't be surprised if it was full price, but I hope not. 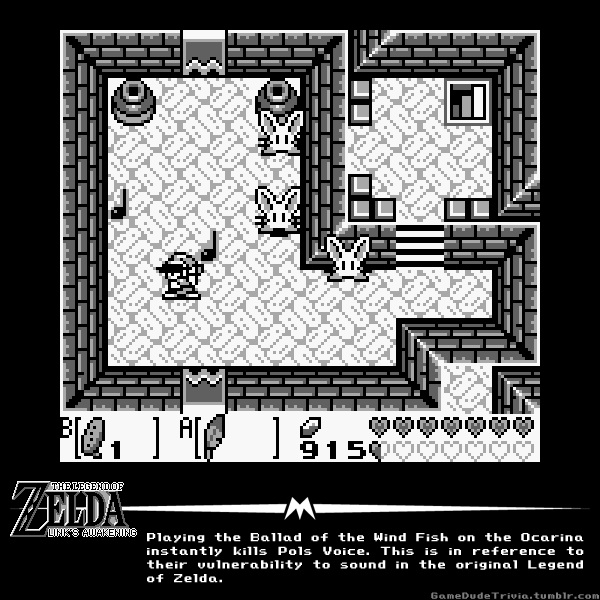 Ty Anderson is remaking the gameboy classic Link's Awakening with original art assets using the Ocarina of Time 64 game engine. "I work tirelessly for hours at a time every moment I can, building temples, creating new actors, animating them, writing scripts, designing puzzles and relentlessly studying the possibilities of the old Nintendo 64 Ocarina of time ROM. My aim: to create a completely original version of The Legend of Zelda: Links Awakening in the Ocarina of Time Game Engine. " This kind of project is interesting in that if it comes out could bring the game to an entirely new audience. With that, I wonder how well the game translates to 3D? The small 2D nature... Read All Ty Anderson is remaking the gameboy classic Link's Awakening with original art assets using the Ocarina of Time 64 game engine. This kind of project is interesting in that if it comes out could bring the game to an entirely new audience. With that, I wonder how well the game translates to 3D? The small 2D nature of the original game captured how connected everything was which led to the ending being much more powerful than a 3D open and expansive game. After recently completing Link's Awakening i've been watching some Speedruns and found this great run from 2004's AGDQ charity run. Guiocob expertly runs this and uses all manner of wall clips, text skips and shenanigans to get the run down to one hour and seventeen minutes. There are two speedruns in the above video and the first one runs a couple of rules such as no save and quit making it so you can't glitch out the game to get a much faster and also they don't allow out of bounds. The second run allows save and quit and out of bounds and drops the run to 6 minutes. Link's Awakening is a retro classic and watching these people break the Wind Fish is fun. After recently completing Link's Awakening i've been watching some Speedruns and found this great run from 2004's AGDQ charity run. Guiocob expertly runs this and uses all manner of wall clips, text skips and shenanigans to get the run down to one hour and seventeen minutes. There are two speedruns in the above video and the first one runs a couple of rules such as no save and quit making it so you can't glitch out the game to get a much faster and also they don't allow out of bounds. The second run allows save and quit and out of bounds and drops the run to 6 minutes. Link's Awakening is a retro classic and watching these people break the Wind Fish is fun. Everyone has a handful of games that they love more than others. For me, one of those games is The Legend of Zelda Link's Awakening. It's an interesting game that builds on it's Super Nintendo predecessor Link to the Past and in many ways improves on it. The story is tighter, the gameplay is often tighter and the music and graphics are great. Link to the Past might have a better control scheme due to the extra buttons of the SNES controller but Link's Awakening has a more immersive story and tighter gameplay. From the start of the game you are tasked with finding all the instruments of the Sirens to wake the slumbering Wind Fish. I am not going to spoil anything but... Read All Everyone has a handful of games that they love more than others. For me, one of those games is The Legend of Zelda Link's Awakening. It's an interesting game that builds on it's Super Nintendo predecessor Link to the Past and in many ways improves on it. The story is tighter, the gameplay is often tighter and the music and graphics are great. Link to the Past might have a better control scheme due to the extra buttons of the SNES controller but Link's Awakening has a more immersive story and tighter gameplay. From the start of the game you are tasked with finding all the instruments of the Sirens to wake the slumbering Wind Fish. I am not going to spoil anything but the ending is a bittersweet wrap up that you don't experience much in gaming. Another odd aspect to Link's Awakening is that the game only references Zelda, she isn't in the game at all. It's a nice change of pace from the "Save the princess" motif that seems to be present in most Zelda titles as this game could ditch the Zelda title entirely. Link's Awakening also features something that is a now staple of modern Zelda titles in that you start with one item and trade it forward until you find something very important for later in the game as seen later in Ocarina of time and others. Link's Awakening is still a solid game and it may very well be my nostalgia blinders talking but I believe i'll keep coming back and playing this game every couple years as I have done. If you are looking for a short Zelda game with enough gameplay to keep you playing dust off an old Gameboy kart and give this one a try. I created a new Let's Play video embedded above playing through the first dungeon from the start of the game. At some point I plan on replaying the entire game as a series of Let's Play videos but until then, the first dungeon will have to hold us all over. I meant to mention it in the Roundtable, but we got onto another topic and I missed my shot: this is still probably my favorite Zelda game, even with its really limited technology. It's the pinnacle of GBC. I agree. It's such a great game and they did so much on the original Gameboy that it's fairly incredible to consider. When I play it I don't really think of any technical limitations as the game really shines beyond all that especially with the addition of simple colors. As I said above in my review I think the only real limitation is to the A/B buttons for the Gameboy. JustAWeeaboo: Did you come out to the PIGSquad/Starship Rubicon/Cheerful Ghost booth for OMSI Game Masters? I've pretty much said this before, but I'll say it again. I got Link's Awakening some time around when it was released for the Gameboy. The Gameboy was my primary gaming device, I didn't have a Nintendo or Sega Genesis, although my cousin had all three. I did eventually also own a Sega Game Gear, but that's not too relevant to this post. Anyway, I enjoyed the game and I probably still have it somewhere around here. I have played the Gameboy Color version, which was cool. I honestly don't recall very much about it other than the things you've mentioned and that it seemed unique in many ways, especially the music. But yeah, it was fun and I certainly enjoyed it. I'm glad you've been enjoying it. The Ballad Of The Wind Fish In 4K! I play through Link's Awakening every couple years and each time I am really floored by the Ballad of the Wind Fish. This time I decided to take a 4K video of the song playing on my handheld. I play through Link's Awakening every couple years and each time I am really floored by the Ballad of the Wind Fish. This time I decided to take a 4K video of the song playing on my handheld. Link's Awakening is my most beloved Zelda game. During last years Portland Retro Gaming Expo I finally broke down and repurchased it as our family copy was lost to time or sold. I have it on my list of games to replay and hopefully I can do it this year. That said I found this Imgur album of a few collected facts on the game and though I would pass it along. And for extra credit, here is the ballad of the wind fish on YouTube. That song is still one of the saddest songs I can think of from the 8 bit era. https://www.youtube.com/watch?v=8dhzm7HJiMA Link's Awakening is my most beloved Zelda game. During last years Portland Retro Gaming Expo I finally broke down and repurchased it as our family copy was lost to time or sold. I have it on my list of games to replay and hopefully I can do it this year. That said I found this Imgur album of a few collected facts on the game and though I would pass it along. I had this game and I remember playing it! I didn't know there was a special ending. I probably didn't know most of the facts in that album, though. I think I did play the DX version once. The Easter Egg Hunter brings us another great video, this time cataloging his top 10 Gameboy games. I can't say I really disagree with him on much here as the games he lists are great. His number one is no surprise as that would be mine as well. Link's Awakening is not only the best Gameboy game but it tops my list for Zelda games too. The more I think about Zelda games the more I realize, yeah, for me it's the best one. The Easter Egg Hunter brings us another great video, this time cataloging his top 10 Gameboy games. I can't say I really disagree with him on much here as the games he lists are great. His number one is no surprise as that would be mine as well. Link's Awakening is not only the best Gameboy game but it tops my list for Zelda games too. The more I think about Zelda games the more I realize, yeah, for me it's the best one. Someone awesome person decided to create a map of the entire overworld of Link's Awakening. Looking at it all in its Gameboy pixel glory is pretty awesome to behold but I also realize how small the overworld really is. That said, it takes quite some time before you have the ability to go everywhere and in the game it really does feel larger than it actually is. Hand's the best part of the overworld in Link's Awakening was Animal Village. I also had a pretty high appreciation for the part where you collect leaves to enter the slime dungeon. Someone awesome person decided to create a map of the entire overworld of Link's Awakening. Looking at it all in its Gameboy pixel glory is pretty awesome to behold but I also realize how small the overworld really is. That said, it takes quite some time before you have the ability to go everywhere and in the game it really does feel larger than it actually is. Hand's the best part of the overworld in Link's Awakening was Animal Village. I also had a pretty high appreciation for the part where you collect leaves to enter the slime dungeon.